Madshus CT 150 | Cross Country Skier - Victoria and New South Wales, Australia. XC skis, telemarking, skating, boots, bindings, poles and waxes. In keeping with Madshus' ongoing commitment to protect the winter world, Madshus has introduced the best-fitting and most breathable boots yet, in a totally PVC-Free construction that lessens our impact on the winter world around us. Madshus boots use the Rottefella NNN binding interface. 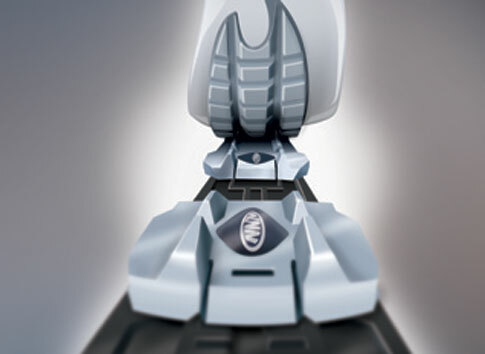 With two guide rails and a broader binding plate, NNN offers maximum stability and control over the ski. The close contact between the boot, binding and ski (especially with the NIS plate system) provides optimal power transfer for a more efficient stride. Providing the best-fitting Nordic boots requires a lacing system that secures the entire foot. 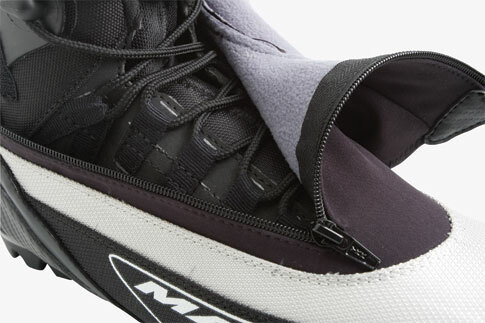 Madshus' Lacing Fingers reach far below the boot's visible lacing system to the bottom of the boot, securing the forefoot laterally and medially with balanced lacing tension. Madshus boots feature MemBrain® softshell and hybrid constructions, allowing the boot to comfortably conform to the contours of the foot while providing durability, waterproof protection, breathability, and warmth.